This morning Roger James and I spoke with Dennis Houghton, trail advocate and formerly with the City of Arcata. 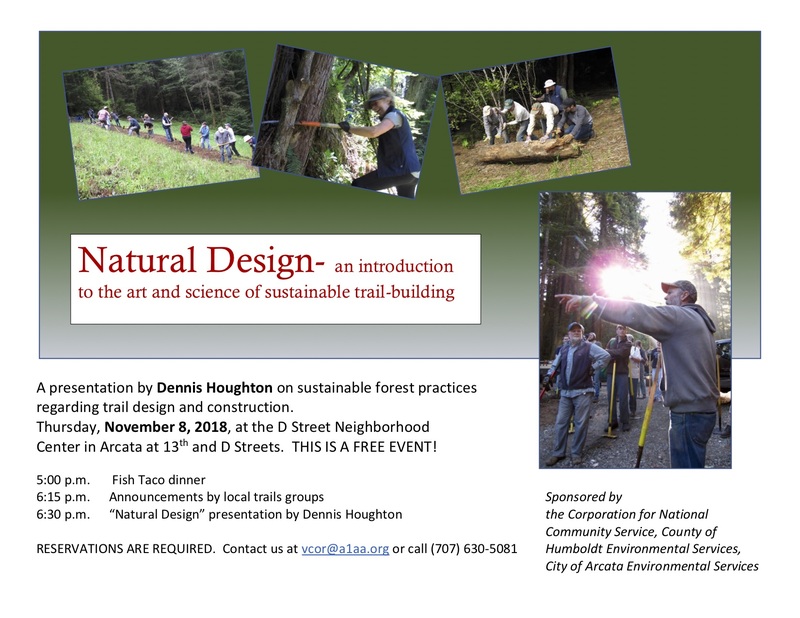 He will be giving a talk on The Art and Science of Sustainable Trail Building at about 6:30pm on Thursday, November 8th. However, there will be a free Fish Taco Dinner before hand at 5pm. It all takes place at the D Street Community Center in Arcata.